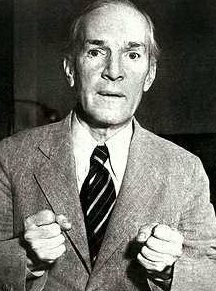 The Brass Check, A Study of American Journalism was written by Upton Sinclair, Jr. in 1928 relating his experiences with American newspapers and the wire services that supplied newspapers with “news.” Upton Sinclair, Jr. is considered a “muckraker,” and he lived from 1878 to 1968. His most famous book is The Jungle, about the Chicago stockyards and published in 1906. Although Teddy Roosevelt held a low opinion of Sinclair, he sent investigators to Chicago to inspect the meat packers and prepare a report. That report was submitted to Congress and led ultimately to the present day FDA (Food and Drug Administration). Sinclair wrote many books and recently I wrote about another worth reading, Oil!. It was Sinclair’s contention that for-profit newspapers would never, or hardly ever, publish stories that might harm their advertisers. 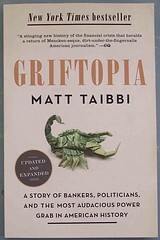 The owners of newspapers were and are members of the 1% and are members of the same social set. So there is social pressure to go along to get along and there are advertising dollars that can be used to pressure newspaper editors in their editorial decisions. The only way to avoid these pressures, to my mind, is obtain your news from non-profit sources that are not dependent on advertising revenue. Two sources of news that I recommend are http://www.truthout.org and http://www.readersupportednews.org. Both are free, but both deserve your support so that they may remain viable. I encourage you to consider donating to either or both periodically or regularly. Twenty Years at Hull-House by Jane Addams. Jane Addams founded Hull-House in 1892 as a settlement house to help the poor on Chicago’s near west-side between the Chicago river and the stockyards in an area populated by mostly poor, recent immigrants. A settlement house was an effort by private charity to provide services to the poor that were not furnished by government. Community organizers like Saul Alinsky and Barack Obama are a more recent development, not associated with settlement house-like buildings, although with similar goals. Jane Addams was the first woman to be awarded the Nobel Peace Prize. On a personal note, I commuted daily to work near the Stockyards from my home in Elmhurst via the Eisenhower and Dan Ryan Expressways. Hull-House at 800 South Halstead Street is a short distance from the interchange where those two expressways join. If I had known how close I was, I would have stopped and visited the Hull-House Museum on the Chicago campus of the University of Illinois. During the 1950s in Chicago, if my memory serves me correctly, we had our choice of four channels: CBS on 2, NBC on 5, ABC on 7 and WGN on 9. 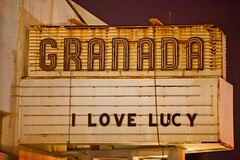 Most shows were 30 minutes long and most people watched the hit shows, like I Love Lucy at 7:00 pm on Monday nights. Now there are so many channels that most people are watching different shows. My point is that in the early days of television, TV united us culturally while today TV is a divider. Like de Tocqueville, Alinsky believed that Americans could and should form associations to solve problems. Alinsky believed that government should provide solutions only as a last resort. In that, he was a true conservative. Alinsky never met Barack Obama because he died in 1972 when Barack was only 11 years old. Alinsky did meet Barry Goldwater at least once in 1964 when Goldwater was preparing to run for president. The two men discussed civil rights and the pending civil rights legislation. Alinsky supported the law reluctantly while Goldwater was opposed. Please keep this in mind when someone tells you that free enterprise is more efficient than government. Another target of potential profit that the corporate disciples of Adam Smith’s invisible hand have in their near-term sights is our drinking water. Not only will the big oil companies profit from fracking, their chemical discharges into the ground will eventually pollute our drinking water, driving up the price and their ultimate profits. Thus they will profit from supplying energy and decreasing the supply of potable water.